MLB Blog: Can David Ortiz and David Price work well together ? Can David Ortiz and David Price work well together ? The Red Sox have agreed to a seven-year, $217 million contract with free-agent pitcher David Price, The Boston Globe reported on Tuesday. The club has not confirmed the deal. 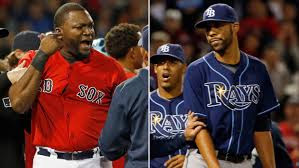 When David Price pitched for Tampa, there were some issues between David Price and David Ortiz..